Heeeellooooo everybody! Have I ever got a mess of awesome fanmade merchandise for you today! Without further ado, it’s Derpy’s Skymall! First up today is this great leather wallet! Well, not this wallet specifically, because for $65 you can have any custom made wallet of pony that you want. Yes really! 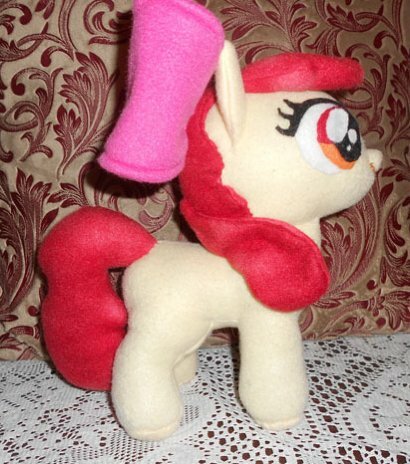 Don’t be fooled by the fact that that’s a Fluttershy hat… this seller has hats of pretty much every pony ever. Background characters, side characters, main characters, you name it. And they’re all a mere $15!! I just love these twilight earrings so much. Earrings of all of the mane six and most of the Apple family are for sale too, but the Twilight earrings are by far my favorite! Now this would be a great thing to have framed and hung up on your wall! This acrylic/watercolor painting of Derpy is 8×14″ and currently up on ebay with bidding starting at $100! And yes, you get the original painting itself, not just a print! And now for something completely different… a Derpy seapony! Shoo be derp, shoo shoo be derp. Weird? Yes. Do I kind of want it? YES. $51, no bids, and only 14 hours left! 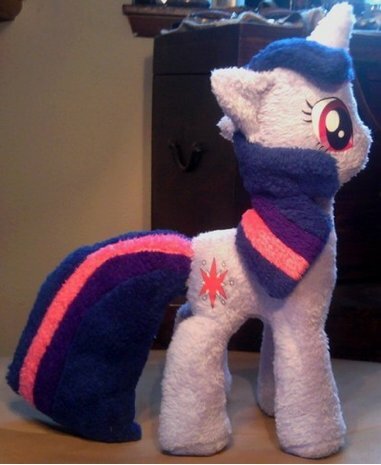 And if I didn’t have enough cute little ponies, here’s a filly Octavia plushie! Now I really want to hear Octavia’s cutie mark story. She’s only at $10.50 right now, but there is a reserve that hasn’t been met yet. So this is about the best thing EVER. I imagine you could do a lot of friend-bothering with it (chimicherry, cherrychanga??) Also, a good portion of the end price will go towards the seller’s friend for surgery; so it’s for a good cause too! (There are more details in the description). How could you say no? Currently at $74 with a day left. And finally, Derpy Hooves herself in her Nightmare night costume! The costume is fully removable… but why on earth would you want to take all that glory off? And that’s it for today! As always, if there’s any fanmade custom merchandise you want to see here next week, be sure to submit it! See you then! AWESOME!! I love the hats! Was Derpy in this weeks episode?